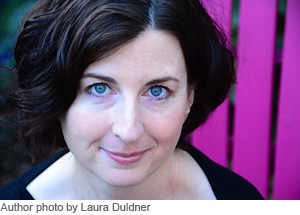 Genanne Walsh is the author of Twister, awarded the Big Moose Prize for the Novel from Black Lawrence Press. 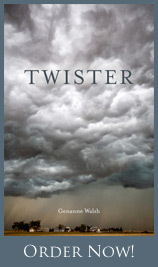 Twister was also selected as a Finalist for the Brighthorse Prize, the Housatonic Book Award in Fiction, and the Sarton Women’s Book Award. Excerpts from the novel appeared in Puerto del Sol, Blackbird, and Red Earth Review. She holds an MFA from Warren Wilson College and lives in San Francisco with her wife and dogs.